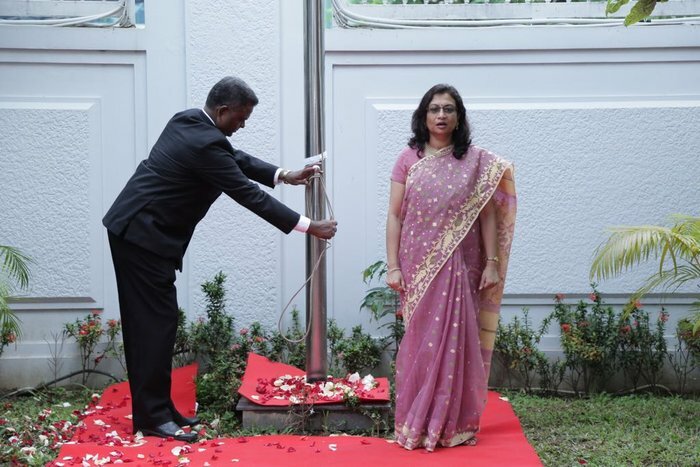 In the presence of large number of Indians and friends of India Ambassador Manila Jain hoisted Indian tricolor in the Embassy of India premises. 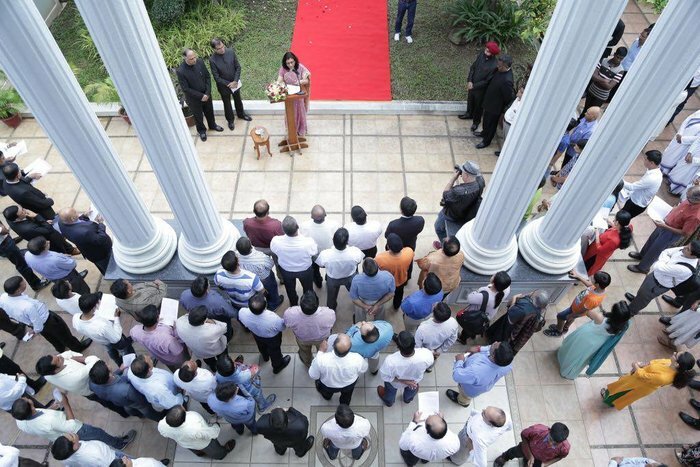 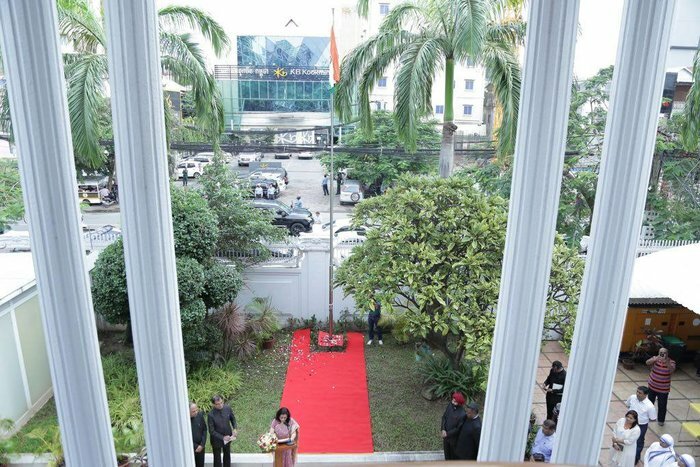 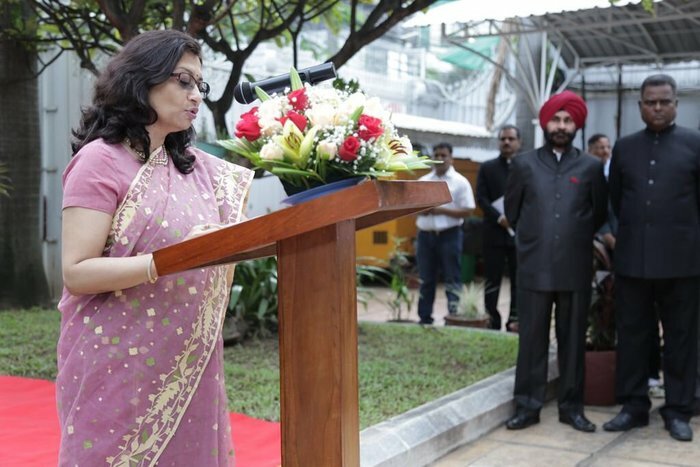 Flag hoisting was followed by reading of President's speech by Ambassador. 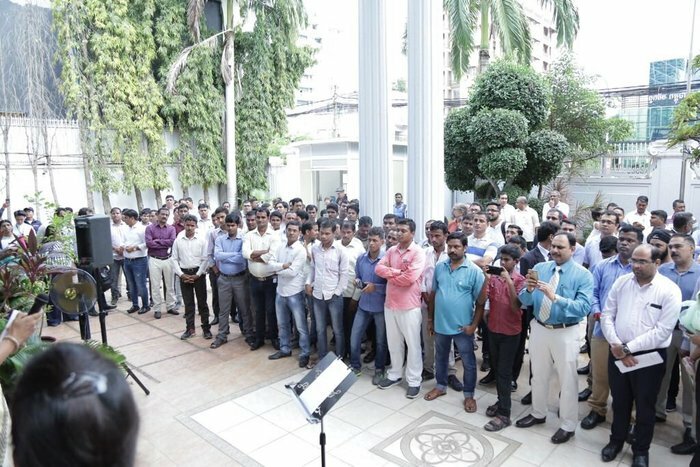 Cultural programme on the occasion included singing of patriotic songs by enthusiastic members of Indian community. 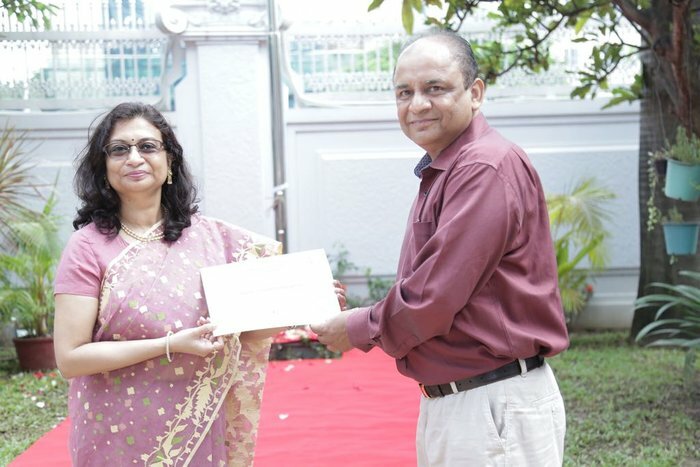 Certificates have been handed over by Ambassador to the sponsors of 4th International Yoga Day 2018 and participants of Champaran Satyagraha Quiz contest.